In a watercolor box, purple is one of the colors seldom used in its pure form. In a lavender field this color reigns! The challenge for painting lavender is to simplify the several tiny flowers into bigger abstract shapes. The owner of the lavender field brought me lavender lemonade! Medford, Oregon. July 2014. Framed 35.5” x 29”. 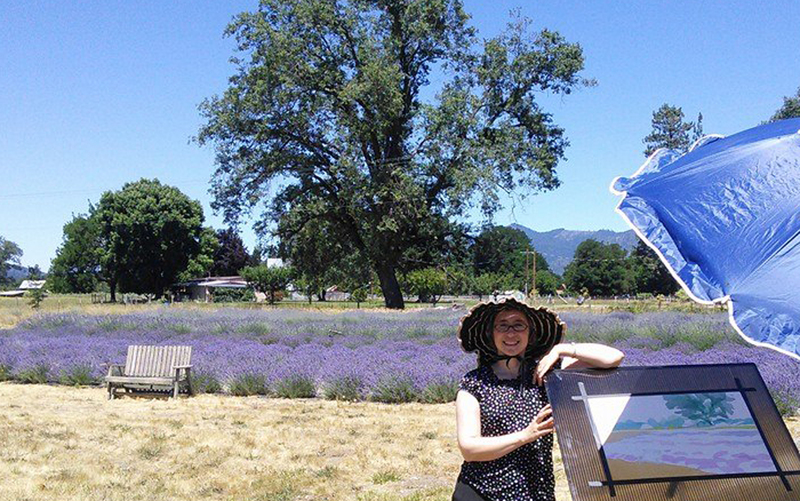 ♥ Honorable mention, Oregon Lavender Festival Plein Air Paint out 2014.